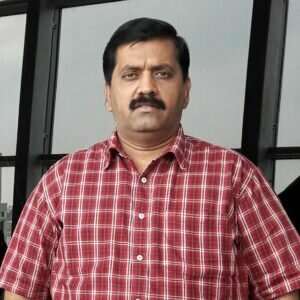 Port Blair, Dec 05: The Non-Gazetted Government Officers’ Association, Andaman and Nicobar Islands has condoled the sudden demise of Mr. V Vaithanathan, Principal, Govt. Sr. Sec. School Bathubasthi at Chennai on 04.12.2018 after a massive heart attack. He was 59 years and is survived by his wife and two sons. The cremation will take place at his home town Tambaram in Tamilnadu. The Association recalls his contributions towards various spheres of education in these islands. The South Andaman Teachers’ Branch of NGOs’ Association also recalled him as an efficient administrator and conveyed deep condolences on his death.